have strolled this way and hesitated here? I gladly choose to steer my cavalier. Or simply just the ancient call of wild. I, faithful mistress, follow where he leads. 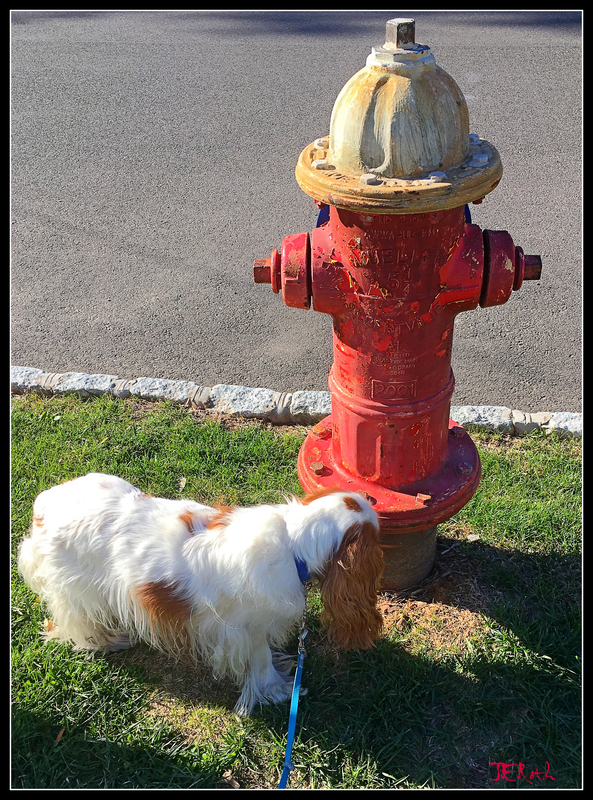 Thank you – trusty old fire hydrant never ceases to attract!